As you enter either branch of the Jewelry Exchange of Delaware, you find yourself surrounded with glittering gemstones in luxurious settings. At the center of the sparkling enterprise is Roberta Kozak, the store’s owner. Roberta’s knowledge of and passion for Estate Jewelry is evident in the easy way she assists customers and readily answers questions about any given item in her store. As a bonus, though, she’ll also give you the feelings behind each piece, which is where her heart truly is. Estate jewelry can be difficult for some people to part with – it comes with a history, bearing the traces of its previous owners. Consigning it takes more care and compassion than the standard business transaction. It takes more than a good eye for quality – it takes an ear for stories, and, occasionally a shoulder to cry on. Roberta has always been a good listener. There was one story in particular, though, that inspired her to do more than listen. 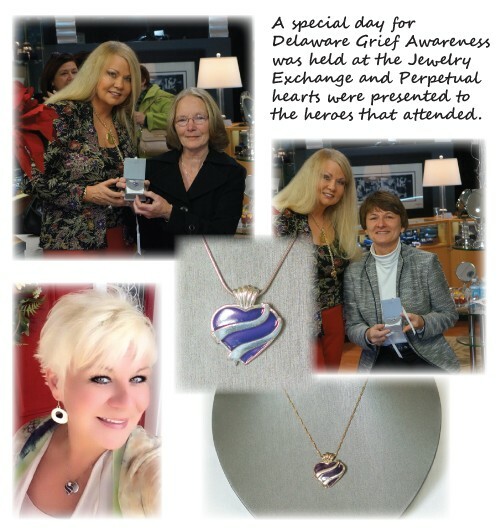 This moment is what inspired her to create the Mother’s Perpetual Heart necklace. In the same way that the military honors its soldiers who were wounded in the line of duty, Roberta wanted to honor those mothers who have suffered the loss of their child. In her words, “I believe that mothers who live beyond their children are heroes whose wounds will never heal. My hope in creating the Mother’s Perpetual Heart is that people will recognize and honor the mothers who wear it. The heart-shaped charm can be made of gold or silver, and is covered in a deep purple enamel. The precious metal “ribbon” swirling through the heart is engraveable, to carry the name of the child. All hearts come with a Certificate of Authenticity and a Registration Number. As all the hearts require special order, please allow 4-6 weeks for delivery. 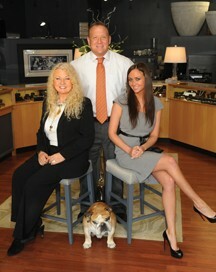 For ordering or further information, please visit www.jexofde.com or call (302) 644-3435. 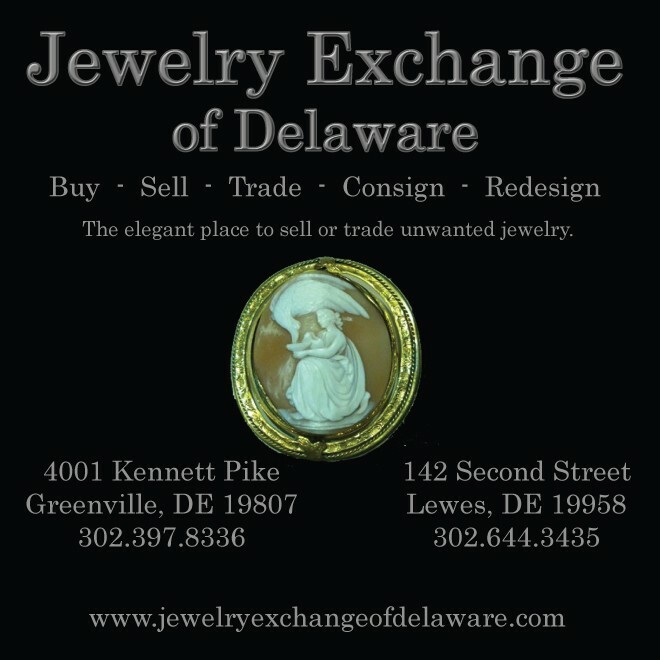 The Jewelry Exchange specializes in buying, selling, trading, consigning, and even redesigning jewelry at our two locations: 4001 Kennett Pike in Greenville, Delaware, and 142 Second Street in Lewes, Delaware. Next Story → Special Occasions & Everyday Confidence!